Listen now to Amy Bruske talk about how family is family. . . and business is business! At SAMC, we know a lot about family firms and do a lot of work in this arena. Did you know that almost 80% of the businesses in the U.S. are owned and run by families? That's why we are thrilled to have Amy Bruske on our On the Brink podcast, an expert in helping family businesses thrive over time. Amy is a sought-after speaker for Fortune 500 companies, associations and entrepreneurial organizations in a variety of industries and I know you will learn a lot from her! A Principal and President of Kolbe Corp, which specializes in HR consulting and leadership development, she is one of only three Senior Master Consultants in the Kolbe Concept®, the authoritative theory for human instinct and performance. 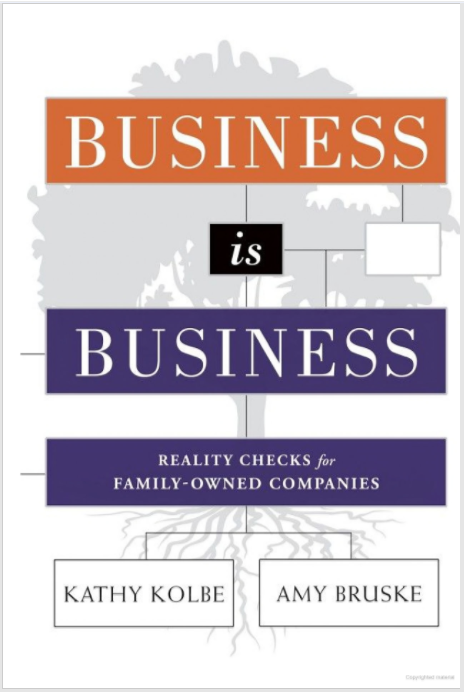 Together with Kathy Kolbe, Amy co-authored the book, “Business is Business: Reality Checks for Family-Owned Companies,” called a “groundbreaking” guide for building and sustaining a successful family business. Amy is also Chairman of the Board for Kolbe’s non-profit arm, The Center for Conative Abilities, that focuses on research for health and education initiatives. At Kolbe Corp, Amy's mission is to help people understand their own and each other's instinctive strengths and to use that understanding to improve their lives in the ways they care about most. The Kolbe A™ Index is the landmark product that is also the foundation of Kolbe Corp and Amy's book. In 2012, Amy was named the Small Business Owner of the Year by the Phoenix Chapter of the National Association of Women Business Owners (NAWBO). She is a committee chair for NAWBO's Board of Directors and a member of the Women Presidents’ Organization, the International Women’s Forum (Arizona chapter) and the Strategic Coach Program. Having mentored countless business leaders over the years, Amy is currently focused on formal mentorship programs for women business owners and is a community panel member for the Young Entrepreneurs’ Academy. Although born in Argentina, Amy considers herself an Arizona native. She holds a Bachelor of Arts degree in Business Administration from Loyola Marymount University. Married to Jim Bruske, a retired professional baseball player now working in real estate, Amy has two very active children to keep her busy away from the office.